The preparation work for 2022 Beijing Winter Games is so far going smoothly in terms of venues and infrastructure construction, technology supporting, market developing, meteorological guarantee and many other aspects, said an official with the Games' organizing committee on Thursday. Wang Yanxia, deputy director of sports department of the Games' organizing committee, also a member of the Chinese People's Political Consultative Conference, told Xinhua that most of the venues and infrastructure construction projects have been launched and smart technology will be widely used in the venues' construction. "For example, the National Speed Skating Oval, the only newly-built ice venue in Beijing competition zone, will provide athletes with a digital system for timing and speed measurement, and provide spectators with intelligent seat guidance and analysis for real-time event," Wang said. Meanwhile, the organizing committee has signed contracts with eight official partners and started soliciting second-level official sponsors. More than 350 kinds of franchising products have been developed and sold through online and offline retail stores. The total revenue has surpassed 100 million yuan ( 14.91 million U.S. dollars). Unlike the Summer Games, meteorological guarantee is crucial for the Winter Games. "For example, biathlon competitions could be forced to stop when the temperature reaches minus 18 degrees Celsius and the ski jumping is greatly affected by the wind," Wang said. The meteorological service center for the Games has been established and 52 weather forecasters have set up a team to ensure every competition venue has full-time weather forecasters during the Games. 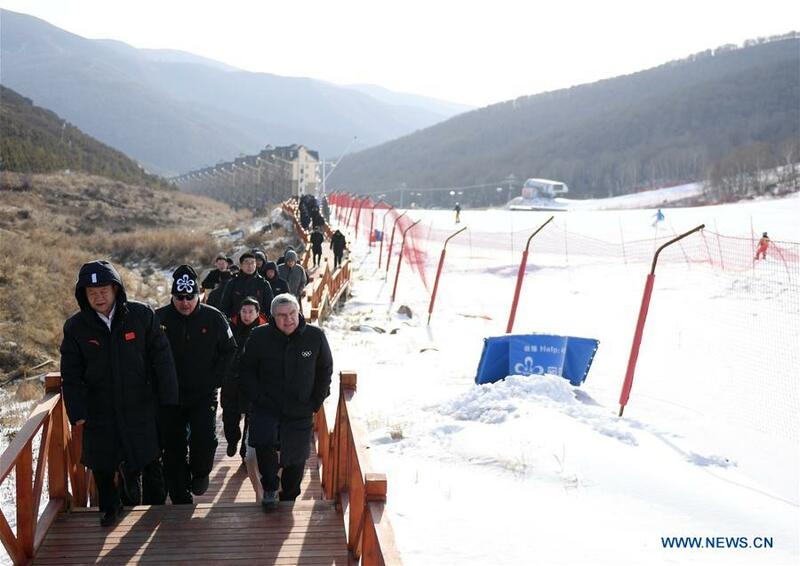 Wang said that weather stations are required to be built at all snow venues, and the 43 weather stations that have been set up are collecting meteorological data to build accurate weather forecast models for the Games. According to the preparation plan, volunteer recruitment will be officially launched next year. "Other preparation work including transportation and security are carried out simultaneously," Wang added.